Ring shots are one of the best mediums for encapsulating a couple's story but it can also be one of the most challenging concepts to achieve at a wedding. 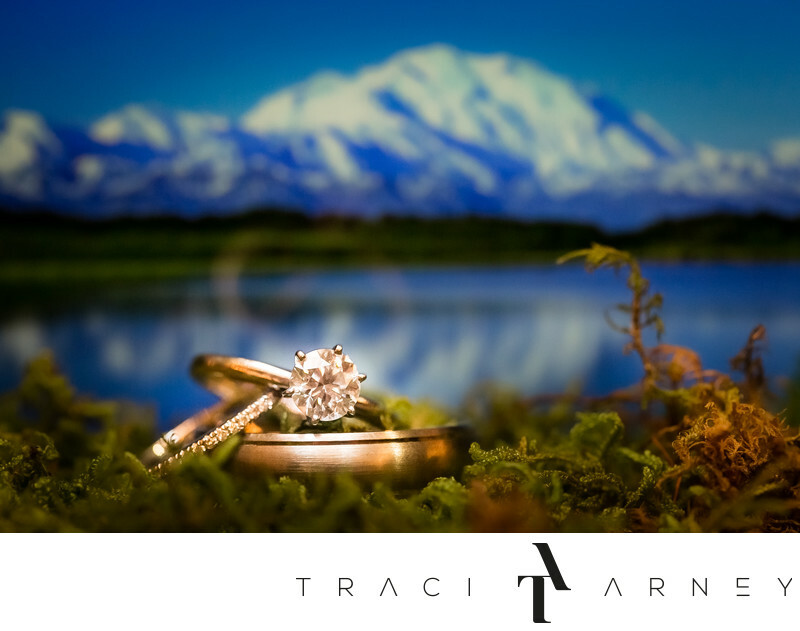 Justin and Margaret are hikers and when Justin decided to ask Margaret to marry him, he did it on the frozen tundra at Wonder Lake in Denali National Park. In the run up to the wedding, I knew I wanted to somehow bring their proposal story into the ring shot. Luckily I found a lovely pot of moss, a good shot of the lake on my trusty iPhone and some nice light. It's everything I wanted (other than actually being at the proposal to photograph it!) I love this photo for its sense of place and story line, plus it jus makes me happy. Location: Camp Pinnacle, 1 Wolfe Lake Dr, Hendersonville, NC 28739. Keywords: alaska (6), Asheville (102), Campground Wedding (6), denali national park (6), Destination Wedding (186), Details (30), Fearless Award Winner (24), NC (636), Ring Shot (33), Wonder Lake (6). 1/15; f/5.0; ISO 4000; 100.0 mm.